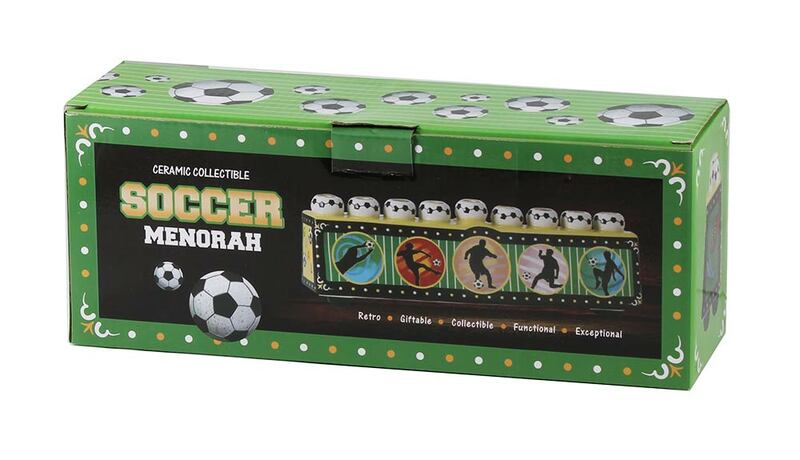 The all new Sports Menorah - Soccer. Collectible yet functional. 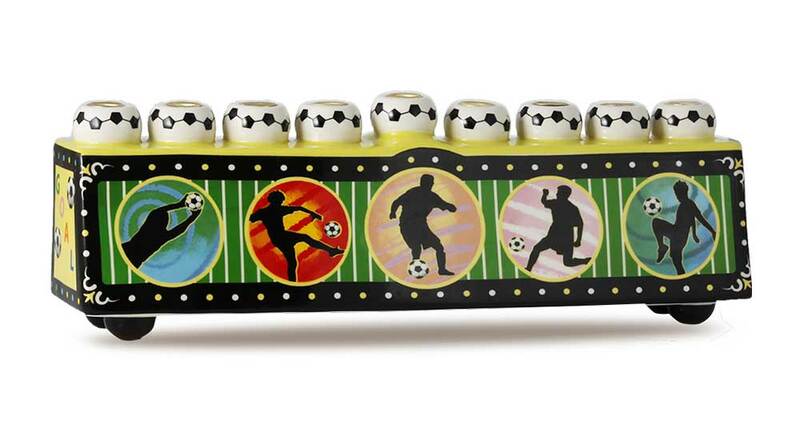 The pictures on all 4 sides are applied and baked into the ceramic, then finished with hand painting. 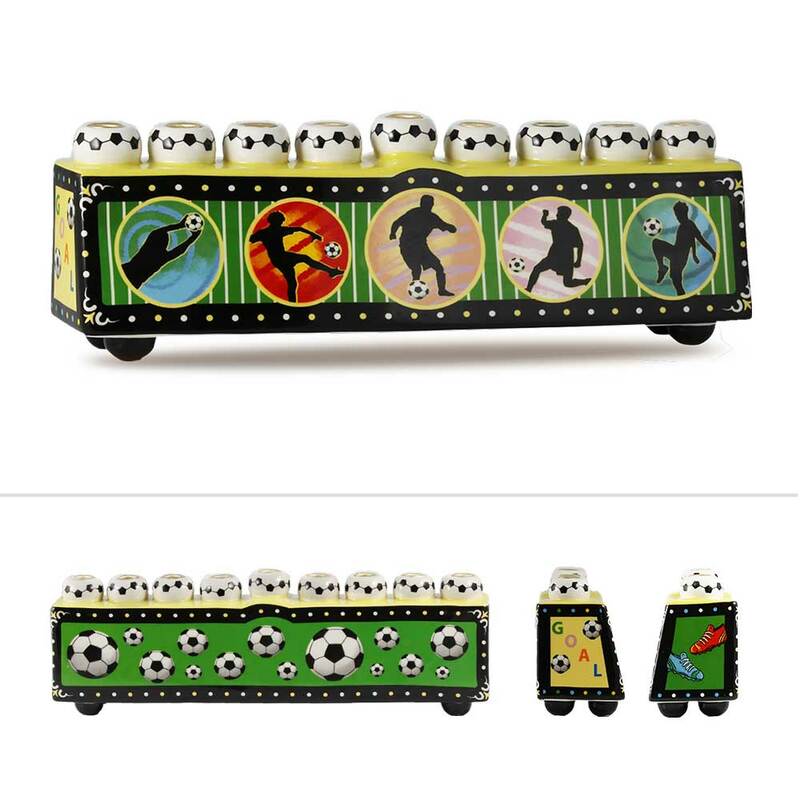 Quality memorabilia for the sports admirer.